MEGHAN Markle revealed she wanted to become a princess four years ago. The Duchess shared her childhood dream on her website The Tig when she was still an actor on the legal drama Suits. In the 2014 post, the brunette beauty spoke about her dreams of being She-Ra, the Princess of Power. Meghan wrote: "Little girls dream of being princesses". Describing She-Ra, a 1985 cartoon character known for strength and feminist powers, she continued: "I, for one, was all about She-Ra, Princess of Power." She then said that women also dream of becoming a princess. The couple met on a blind date in Juy 2016 and hit it off immediately. Picture: Jane Barlow — WPA Pool/Getty Images. "And grown women seem to retain this childhood fantasy. Markle dropped the blog after her relationship with Harry got serious. Harry and Markle met on a blind date in early July, 2016. Prince Harry, Duke of Sussex and The Duchess of Sussex leave Windsor Castle in the Ascot Landau carriage during a procession after getting married at St Georges Chapel on May 19. Picture: Gareth Fuller — WPA/Getty Images. 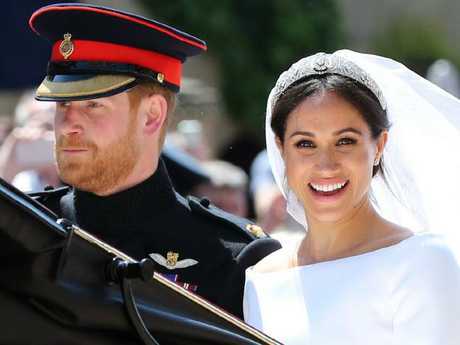 "We were introduced actually by a mutual friend," Harry revealed during the couple's first sit-down interview with the BBC following their engagement announcement. E! News claims Harry's friend Violet von Westenholz is the one who introduced them, but others have speculated it was fashion designer Mischa Nonoo. The blind date was a success. After they announced their engagement, Harry revealed he knew Meghan was the one from "the very first time we met." The couple were able to stay out of the limelight for several months before it became public. Harry confirmed his relationship with Markle in a formal statement on November 8, 2016. In the statement, Harry also pleaded with the media and trolls on social media to stop the "wave of abuse and harassment" that had been directed at his girlfriend. 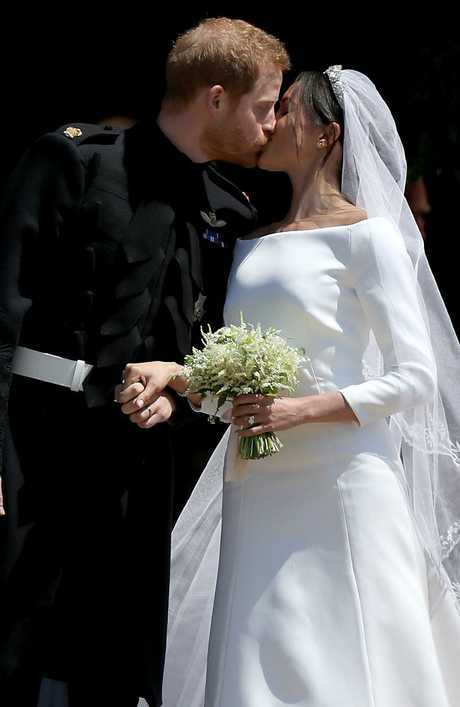 The couple tied the knot on May 19 in a unique wedding that melded Hollywood glitz and glamour with centuries-old royal traditions inside St George's Chapel at Windsor Castle. The couple are due to visit Australia this year for the Invictus Games, a multi-sport event created by Prince Harry for wounded, injured or sick armed services personnel.